This is one of those dishes that you can have ready to throw in the oven a day or two ahead of time. 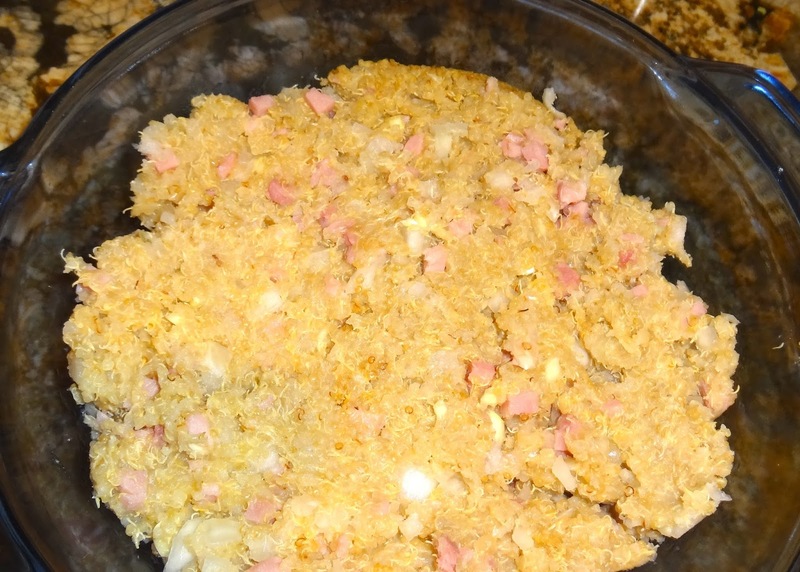 You can mix and match all kinds of different meats and cheeses using this recipe as well. Quinoa is a gluten free whole grain that we love. 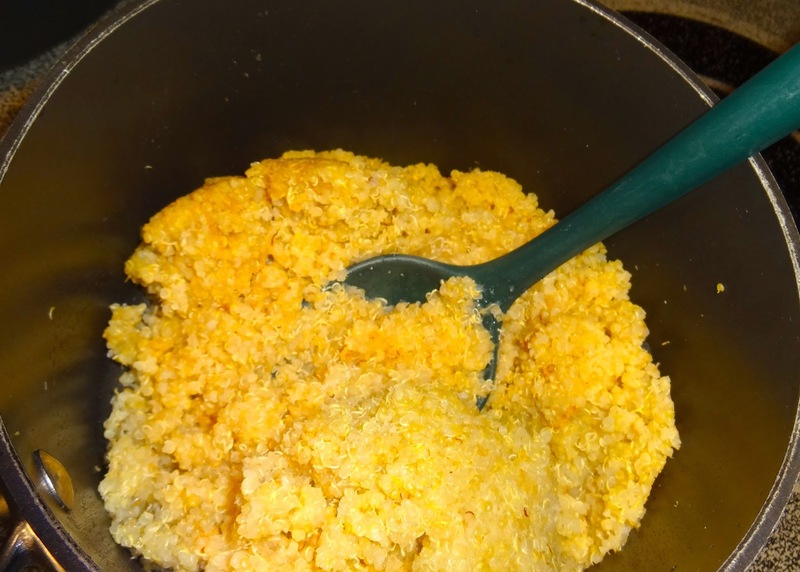 Cook the one cup quinoa with the butter and the broth and water. Measure the broth that you put in and then add water to make 2 & ¼ cups all together. Bring it all to a boil in a medium sized uncovered saucepan over high heat. When it boils move the temperature to low and cover the pan. 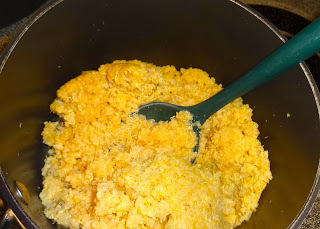 Cook for about thirty minutes or until all of the liquid is absorbed. 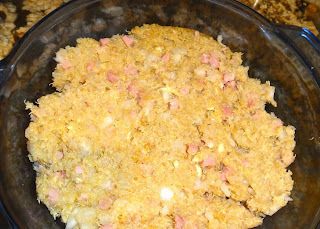 Stir in the ham and the onion and then spread the mixture in the bottom of a deep baking dish. In another pan, over medium heat, melt the butter and then add the flour. Cook the mixture until it bubbles, darkens in color, and becomes smooth. Add the half and half and the pepper and stir until the mixture thickens, and again becomes smooth. 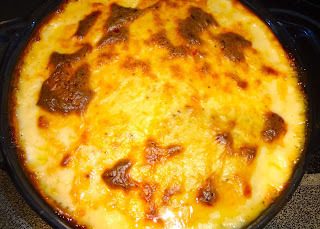 Add the cheeses and cook until the cheeses melt and become well incorporated in the white sauce. Pour the sauce over the quinoa in the baking dish. Bake in a three hundred and fifty degree oven for 1 hour. Let rest for at least fifteen minutes before serving. Enjoy!